Summary: Some types of construction accidents are more likely to cause spinal injuries or paralysis compared to others. Construction related paralysis can occur due to severe damage to the spinal column. The spine is made up of bundles of nerves that are responsible for physical sensation and movement in various parts of body including torso, arms, and legs. If the spine injury is so severe that it severs or traumatically crushes the nerves within it, paralysis can result. Some types of construction accidents are more likely to cause spinal injuries or paralysis compared to others. So, the workers and employers should take special precautions to avoid these situations. 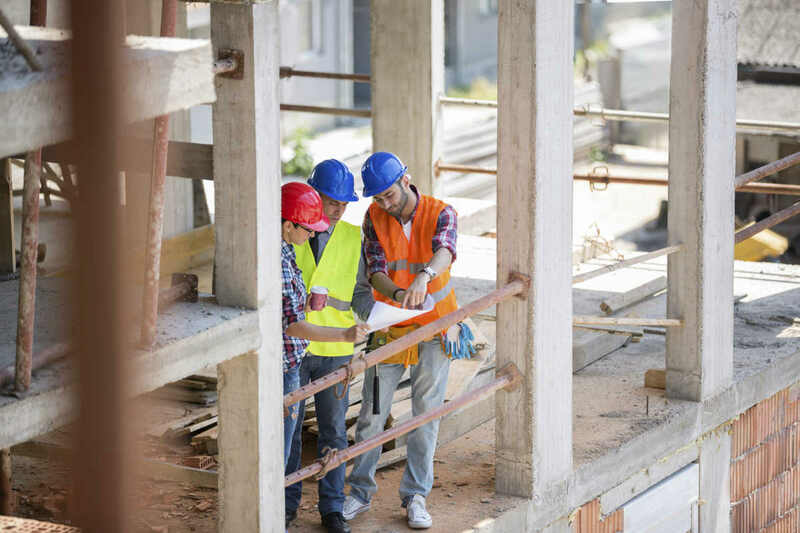 In this post, our St. Louis work injury lawyer will discuss the different types of construction accidents that can lead to paralysis. Slip and fall accidents are among the most common types of construction site accidents, and a serious fall can cause a spinal injury that can lead to paralysis. Fall from elevations onto hard surfaces, especially when a worker lands on his/her back can cause severe damage to the spinal column. Slips and falls on stairs can be extremely dangerous, because the worker is likely to fall on his/her back and this can cause the corner of the step to strike the back and spine. Impact from heavy machinery such as cranes and forklifts can result in spinal damage and paralysis. If a worker suffers a direct blow to the back from a big and powerful machine, it can cause enough blunt force trauma to cause severe spinal damage. It can crush the bones of the spine and even damage the nerves within. While the worker may not realize the severity of this type of injury initially, because there may not be a visible wound, but the actual internal damage can be severe. On construction sites, falling objects such as cranes or collapsing scaffolding can strike the worker in a way that causes serious spine and neck injuries. Any impact on the shoulders or direct blow to the neck can cause damage to the nerves within the spine at that area. If the worker suffers an injury so high up on the body, it can result in complete paralysis below neck. This can render the worker completely disabled, making his day to day living quite difficult. The overall treatment and care costs of this kind of an injury can be exorbitant. If one of the aforementioned accidents occurs at a construction site, and causes damage to the worker’s back or neck, it is generally not a good idea to move the worker at all. However, the worker must be removed from additional danger if there are falling objects that can cause further injuries. If the worker is at a safe location, he/she should not be moved as any movement can aggravate the injury and cause irreparable damage. If you are a construction worker who has suffered severe injury at the workplace, you should speak to a competent St. Louis workers compensation lawyer to understand your rights. If you have been injured on the job in Missouri, give us a call at (314) 361-4300 for a free consultation.